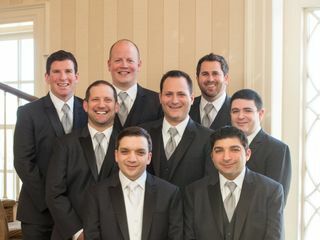 Biltmore Tuxedos provided excellent service for my groom and his eight groomsmen and the fathers. It was such an easy and smooth process without any hassles that you often hear about regarding tux rentals. It's a very classy place, run very efficiently by a very professional staff. And their prices are no higher than the chain tuxedo places. The individualized and personal attention you receive as soon as you walk into the store makes Biltmore stand apart from all the others. I highly recommend this place, the staff and people were great. Plus very knowledgeable with colors and tux sizes. Highly recommend them if you need to buy tux here for a wedding. Anthony and the rest of the staff at Biltmore were great. Made it real easy to find the right tuxes for me and my groomsmen. Would highly recommend! Biltmore did a great job of providing tuxes for our wedding. The shop is conveniently located in downtown Ridgewood. They’re very professional and knowledgeable about trends and provided great recommendations. They made it very easy for our out of towners to send in their measurements. A few of our groomsman had to have some adjustments made when they went to pick up their tuxes but overall it was a quick process and everyone looked sharp! Pricing is average and everything was good quality. We had a wonderful experience. Will definitely recommend to friends and family. Working with Biltmore for the tuxedos for our wedding party was a wonderful experience. They listened to our ideas and helped us bring our vision to life. The selection of tuxes to rent is above and beyond any other store we visited. The staff was attentive and provided extremely helpful opinions. 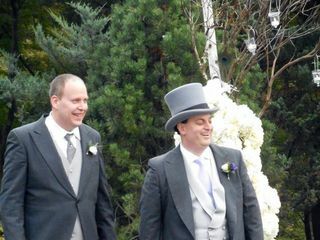 When we received the tuxedos they were in fabulous condition and fit beautifully. The process was smooth and easy from start to finish. We could not be happier with the quality and service we received. Definitely the best around. Family has used them for three weddings now. Anthony and Biltmore were fantastic! Thank you for helping me pick out the tuxedo rental and the tie that I purchased. You guys were great, and Anthony was tremendous! Bitlmore tuxedos is the place to go for your wedding needs. Professional calm and walk you through each step of the process. Highly recommend them. They will not let you down. You feel great with your wedding in their hands. Trust me. I've used Biltmore more many years for special events, proms, as well as other peoples weddings I've been in!! They are professional, helpful, courteous, and very knowledgeable when it comes to outfitting an individual for a special day. I would reccomend them to anyone. I have used Biltmore tuxedos for over a decade. They have always delivered! They have an amazing staff, quality recommendations, and all around superior service. I honestly wouldn’t go anywhere else! You guys were great from start to finish. We had gone to a couple of other store and just didnt find what we wanted plus we felt as if the staff was just trying to make a sale. The staff at Biltmore made us feel comfortable about the whole process amd my guys looked great. I Could not have asked for more, i would highly recommended you to anyone. Excellent! Friendly! Accommodating! If anyone is looking for quality service with quality tuxedos for any big events, this is the place to go. They really helped me find the look I wanted for my wedding and I couldn’t have asked for more. Go give them your business! 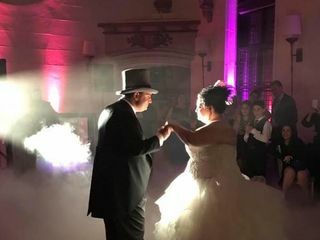 I used Biltmore because they were on the recommended vendor list given to me by my venue. The Biltmore staff was extremely helpful, friendly, and responsive. 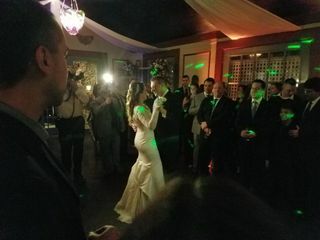 The quality of the tuxes were fair, but the sewing quality was extremely poor (hems fell out on several individuals and one of the two main jacket buttons fell off two different jackets) Luckily our venue fixed them for us. Also, one of my groomsmen received a completely different Tux Jacket (discovered too late to go back to get the correct one). We made due. Matthew, it is absolutely unacceptable that one of your groomsmen received the wrong jacket. For that we are extremely sorry. I know you said that you discovered it too late but if you had called us we would have run one down to you. I know that we can’t reverse time and give him the proper jacket but if you would please call us I would like to refund you the full rental of that person’s tuxedo. It is the least we can do. As far as the buttons go, the people that hand check and press the suits pull on the buttons multiple time before it goes out to make sure they are not lose. Unfortunately, the dry cleaning chemicals dry out the thread and once in a while that happens. We do the best that we can to make sure that this does not happen. To address the problem of the hem in the pants coming undone, every single staff member has the same routine when we take them guys in the dressing room. We show them where the bow tie, cufflinks and studs are, then we show them how the pants adjust and then we tell them to mot put their foot through the pants fast, if you catch your toe in the hem it will rip out. Weekly while men are here trying on they rip the hem out and we fix it for them. Once they leave it is out of our hands. Again, we are extremely sorry for the hiccups on your wedding day. Please give us a call so I can refund you that rental. I went to Biltmore because I remembered going there as a kid. Its difficult to find a one-stop shop and I'm very exact in what I want. I enjoyed dealing specifically with Anthony. I had him custom order a specific shirt, vest and tie to accommodate my morning suit for my wedding. 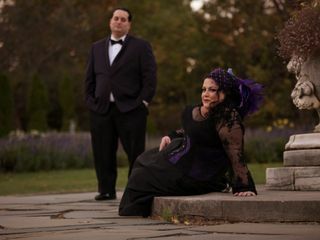 For my engagement photos, he had an elegant purple and black jacket which went fabulously with our motif. I had a great experience with Biltmore Tuxedos and would recommend their services without hesitation. Biltmore is the place to go! Selection is great, service is event better and the price point is spot on. They’re true professionals. We had 11 guys and 2 kids fitted and there was not one issue with anything / anyone. Biltmore is first class all the way. Biltmore Tuxedos overall was amazing! 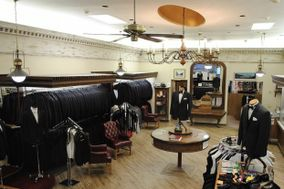 From the service to the selection of tuxedos, there is really no better place to go. 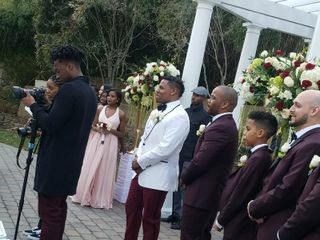 They made it really convenient to get all the sizes in for all of my groomsmen, who were located all throughout the country. Lastly, everyone commented what a unique tuxedos we had and Biltmore was one of the only places that had navy blue with a black trim. I would highly recommend Biltmore to any groom. These guys were great to deal with! They were patient with my fiancé and I as we tried on a few different options and found exactly what we wanted. All of my groomsmen we’re talking about what great quality the tuxedoes were. I would highly recommend this store for any tuxedo needs! Great customer service. Excellent selection. Amazing tailoring. Tuxedos fit perfectly and they made wedding day that much more memorable. Biltmore does it right! 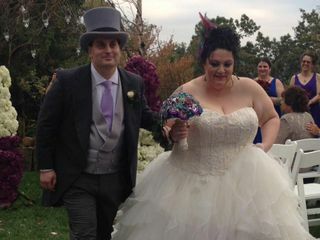 from the moment we walked in, they made the entire process easy and seemless. The selection was everything you need for any style wedding.